Happy New Year !!! With a new year come new resolutions... and in terms of Laura's Gourmandises I would like to make new kinds of desserts, such as pâte à chou based desserts (chouquettes, éclair au chocolat) but also "healthier" snacks without added sugar to eat as snack or before doing sports. 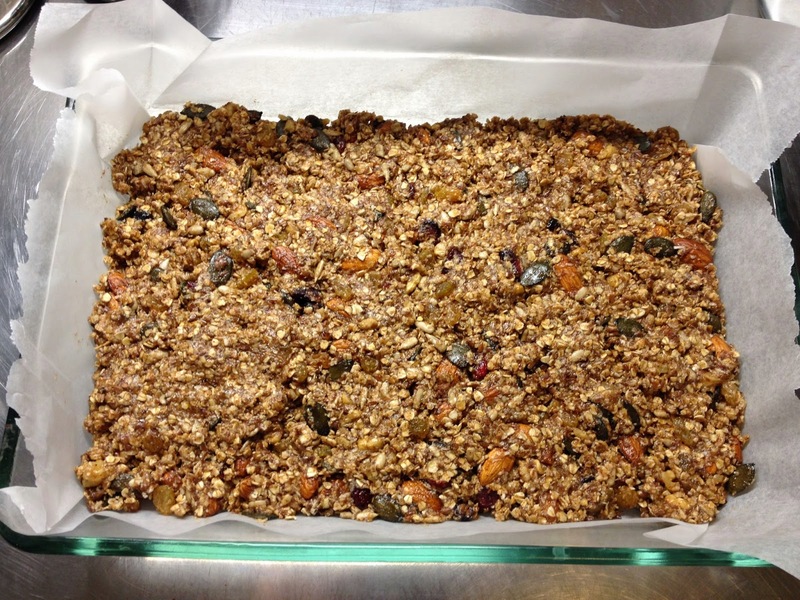 So my first 2015 recipe is cereal bars with lots of nuts and dried fruit that are just delicious and full of good things :-) They are easy to make and do not require baking. 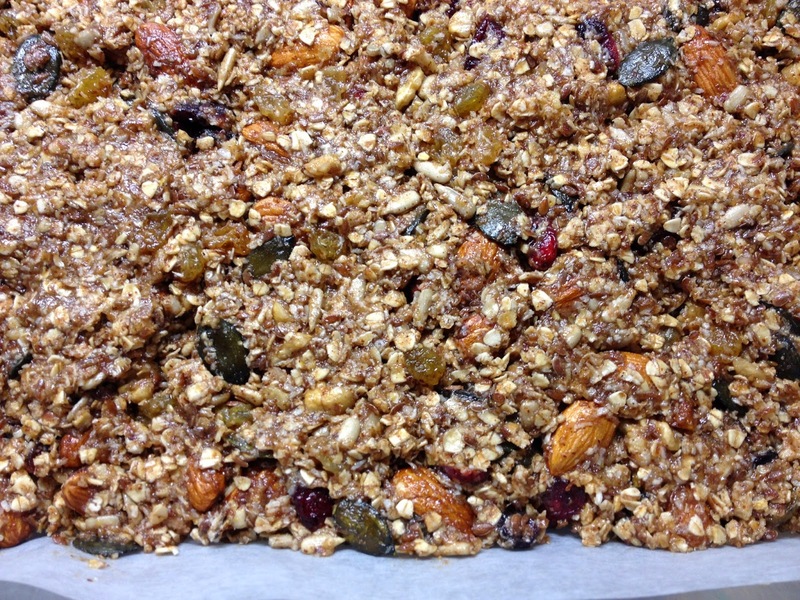 All the dried fruit, seeds, and nuts used here are natural and do not contain any fat or added sugar. Of course you can replace certain ingredients with others if you prefer (pecans instead of walnuts, only raisins or only cranberries) but I find this combination really good. 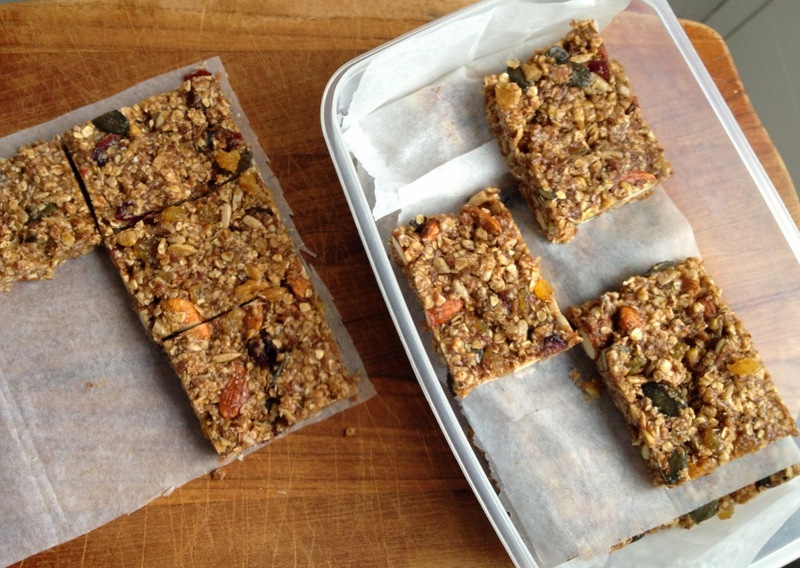 You can store these bars for quite some time in the fridge (or freezer) in an airtight box and you can wrap them in plastic foil to eat them on-the-go. I had one for lunch while on the slopes in Zermatt, I was good until (almost) dinner. Enjoy! 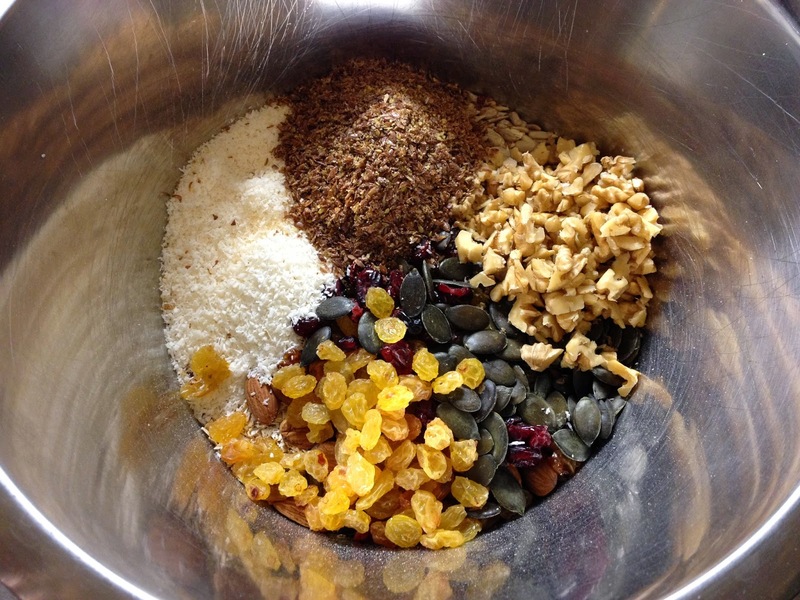 In a bowl mix all dry ingredients. 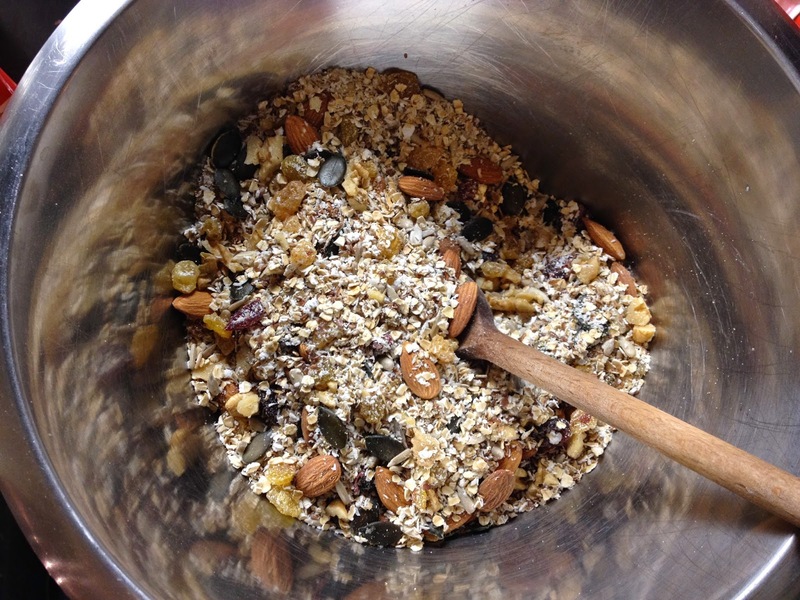 Add wet ingredients and mix with a wooden spoon. 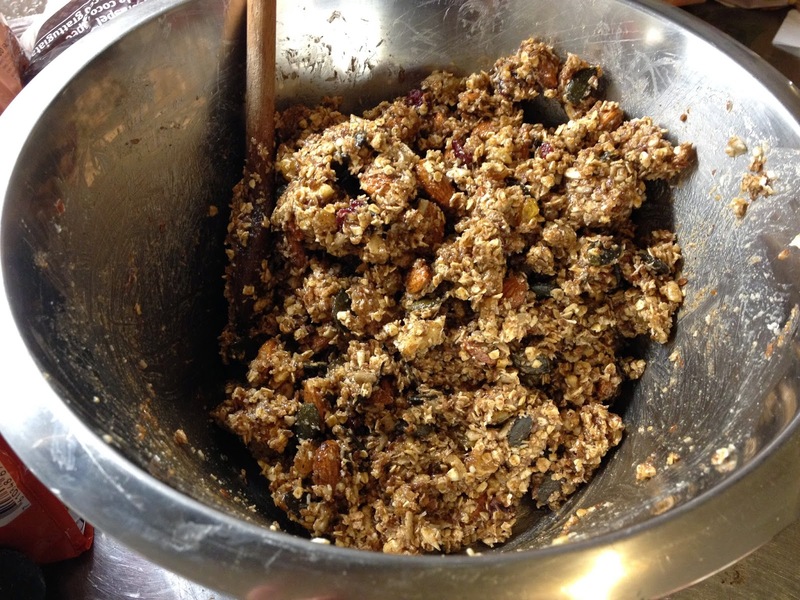 Transfer clumpy mix to a baking pan lined with parchment paper and flatten with the spoon or your hand (easier). Freeze overnight. 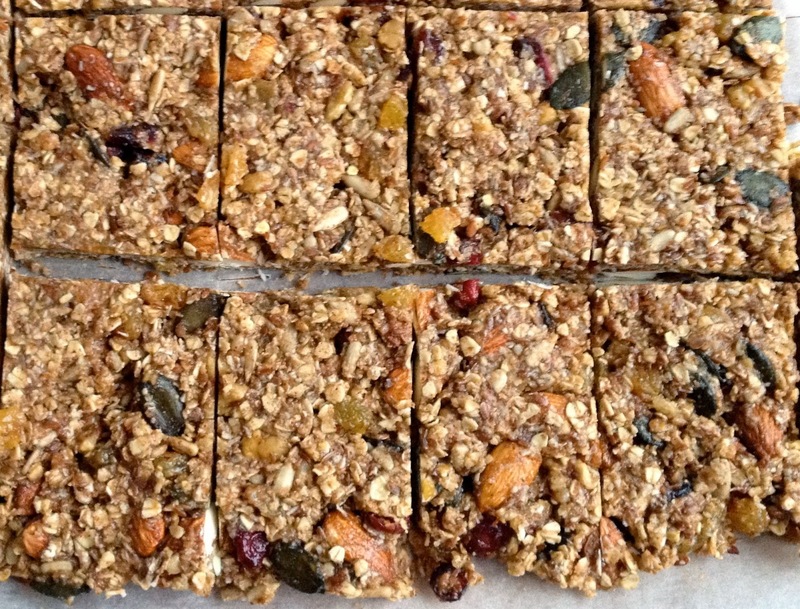 Next day take out of freezer and cut into 6x3 bars (suggested, but you can make them bigger or smaller). 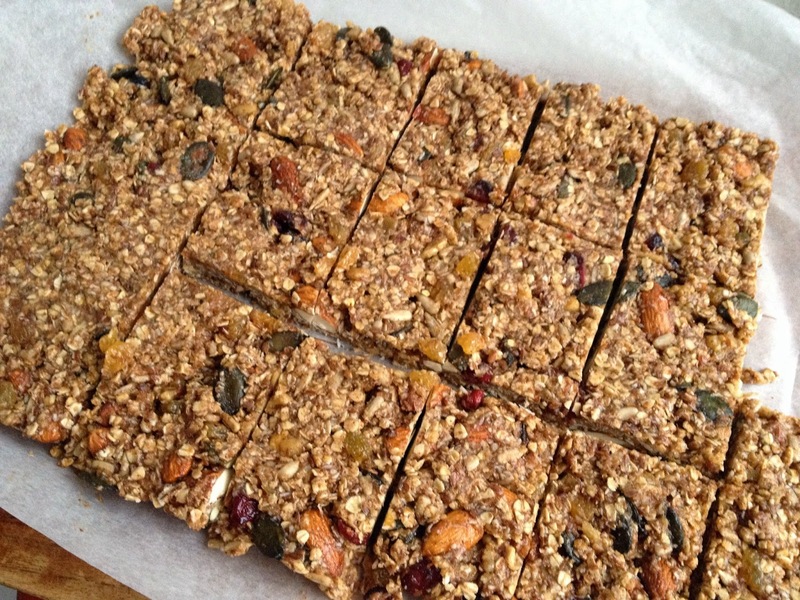 Store in an airtight box in the fridge and enjoy bars for breakfast, as snack, or before working out, they're excellent, very filling and a great source of energy!